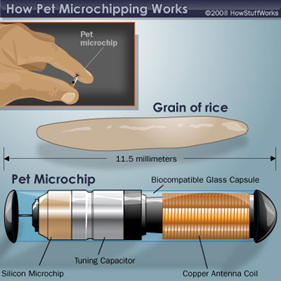 Get Your Dog Chipped Now Don’t Lose Your Beloved Pet. At Dogs Day Inn LLC cage free dog boarding we hear about lost dogs everyday. If your dog has a chip you would be notified that that beloved pet has been found. Many studies have shown, that up to 8 million dogs end up in in animal shelters annually, with only 15% to 20% ever being reclaimed by their owners. Another study done with 7700 missing dogs 22% of them were returned to their owners due to having chips. Some owners feel that by having a collar on their dog with their name and address on it is enough. But time and time again collars get caught on stuff and the dog slips them off leaving a dog unidentifiable. When you consider the cost of the care, veterinarian bills, and what you spent to keep your dog healthy. The modest cost of $25.00 to $50.00 is not that much to help locate your loved one, in the event of it getting lose accidentally and running off. Some maybe an annual fee. 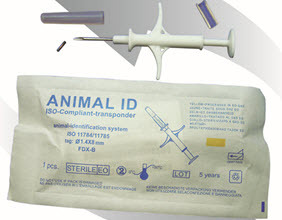 The process is very easy and is no more painful to your pet than a regular vaccination. If you have bought a pure bread dog, paid for all its vaccinations as a pup to an adult, plus what you spend in food, doesn’t it make sense to protect your investment as much as possible, that is looking at not as a beloved pet which in our opinion out ways the monetary side of the equation. No matter if your loved pet is a rescue animal with no pedigree, or the most expensive pure bread the feeling of losing you beloved pet can never easily be forgotten. It important to check regular with the company that your dog is registered with, and is up to date and current. Different companies require an annual fee so it maybe wise to research the companies and ask your vet for these details prior to having your dog chipped. So please from Dogs Day Inn LLC cage free dog boarding please chip your pet.